It rained with such ferocity yesterday that water found a way past shingles, and dripped over the toilet in our bathroom. I thought maybe Cyndie had unbelievably made a mess, until I got dripped on and discovered it was coming from overhead. I drained 2-inches from the rain gauge in the afternoon and Cyndie reported 2-inches more collected by dusk. It hailed, and it thundered, and Delilah barked at the booming all day long. Basically confined to staying under a roof all day, I puttered around in the shop. 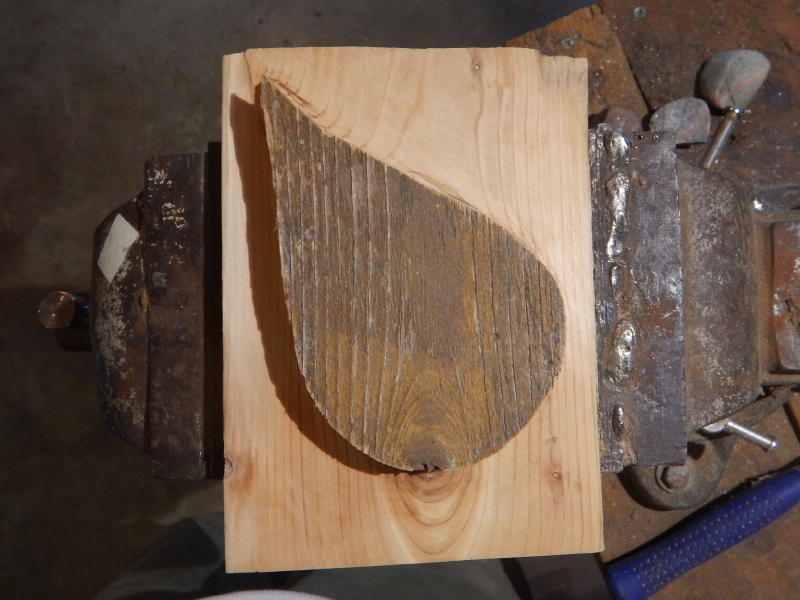 I finally got around to using power tools to cut and grind old shovels to give them a clean edge again. I cut off the broken metal tines of a rake that has been lying around for a couple of years because I couldn’t part with the perfectly good handle. Then I spotted the wood sculpting project I started a couple of winters ago and decided to spend a little time with it again. The idea for this came from a high school art class assignment I did over four decades ago. I figured, if I’m still thinking about that piece I did that long ago, the idea deserved revisiting. 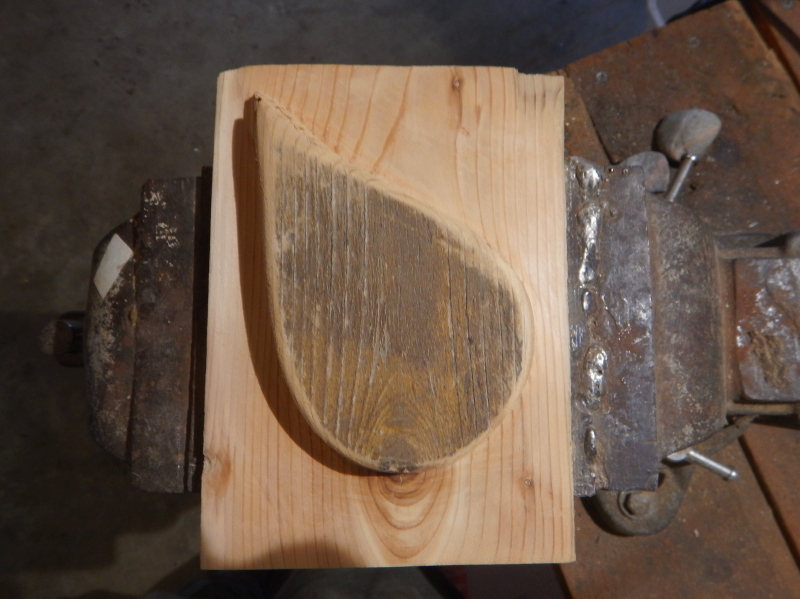 The concept is to create the piece by removing the background wood around the shape. Relief carving. 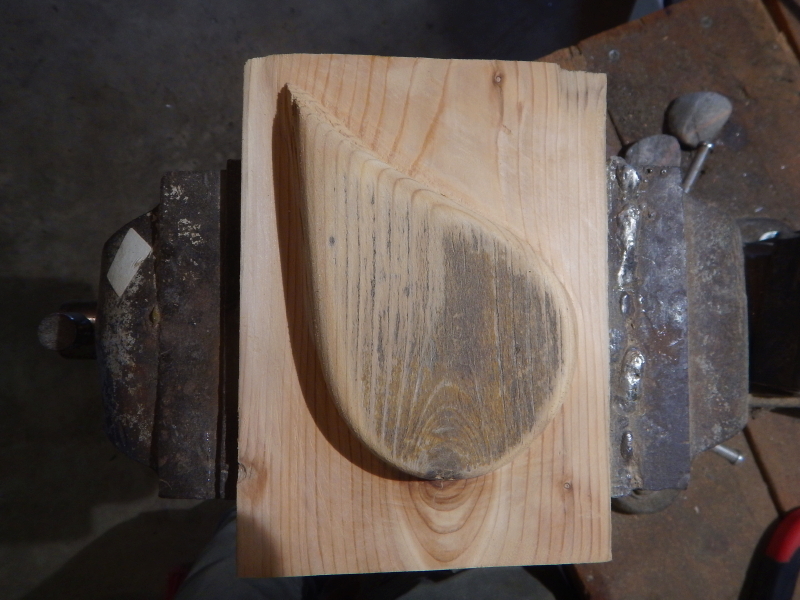 I made the shape of a fish in high school. I remember that I wasn’t able to make the tail fins look real, so I morphed them into a small ‘cartoony’ version of a fish tail. I think it worked, in the end. Gave the finished piece a kind of primitive-folksy look. What I remember most about the project was the surprise of how the grain looked after I sanded everything smooth. 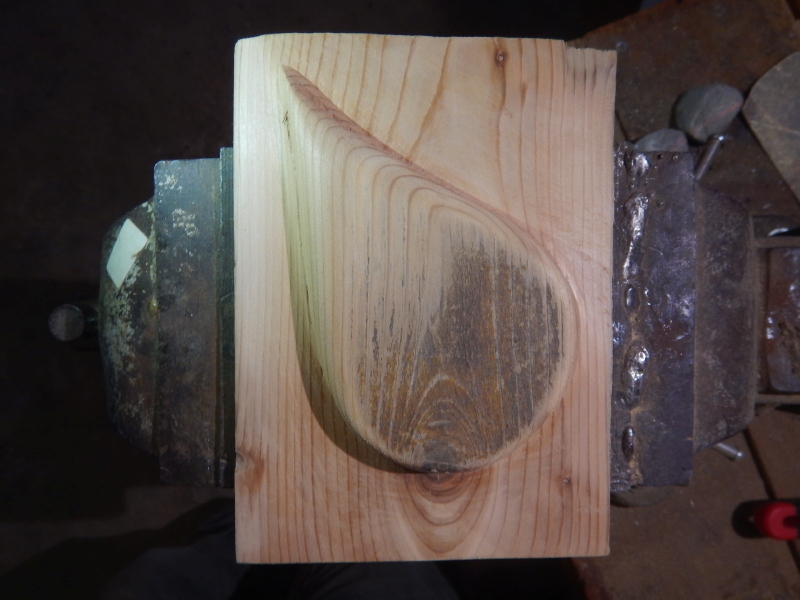 The lines from the flat rise up with an accented grace over the shape that is carved. I’m going with the tear drop shape this time. That way I won’t have to figure out how to make that tail. Now I just need another day of monsoon rain to confine me to the shop for long enough to bring this project to fruition. Don’t hold your breath. As much as I love working on projects like this, this gem could easily rest on the window sill for another couple of years, if history is a reliable reference.